Buick Motor Division imported the reliable, but forgettable, Opel 1900 in 1972. In the background, products from Electro Motive Division, head a MBTA Providence bound commute at East Foxboro. Photographed by Ken Patton, May, 1975. Added to the photo archive by Ken Patton, April 10, 2019. All GM power! 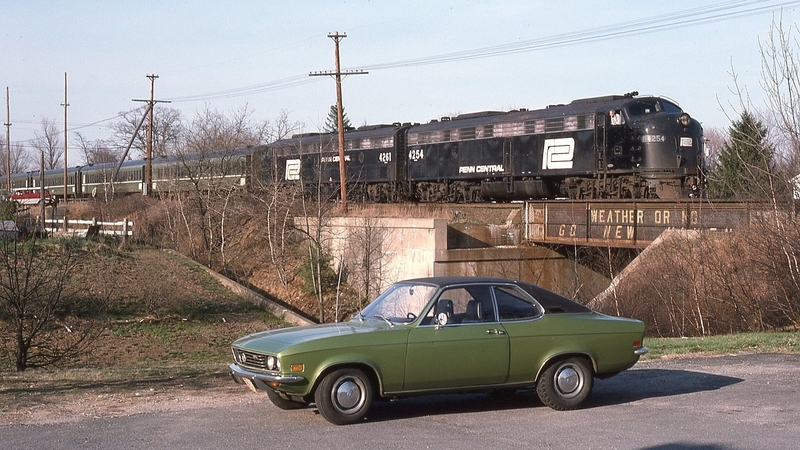 And the Opel's color is pretty close to the PC green on the commuter coaches!